Mike Shinoda is a successful musician and record producer. He is mostly known for being a member of the famous group called Linkin Park. What is more, Mike has his own project, entitled Fort Minor. Together with Linkin Park, Mike has won many awards, such as American Music Awards, Grammy Awards, World Music Awards and many others. In addition to his career as a musician, Mike also paints and this activity has helped him to become more famous. It you think how rich is Mike Shinoda, it could be said that Mike’s net worth is 23 million dollars. 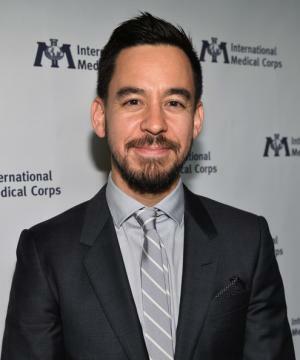 Recently Linkin Park released a new album entitled The Hunting Party, and the band is continuing their activities so there is a high chance that Mike Shinoda’s net worth will become even higher in the future. Michael Kenji Shinoda, better known to the world as Mike Shinoda, was born in 1977, in California. From a very early age, Mike learned how to play the piano as his mother wanted him to. Later Shinoda showed interest in hip-hop, blues and jazz. He also learned how to play the guitar. When Mike studied at Agoura High School, he met other future members of Linkin Park, Rob Bourdon and Brad Delson. They decided to become a band called Xero, and from that time Mike showed even more interest in the music industry. Later he also studied at the Art Center College of Design, where he received a degree in illustration. In 1996 Linkin Park was formed. Other members of the band were Chester Bennington, Rob Bourdon, Brad Delson, Joe Hahn and Dave Farrell. Their first album was called Hybrid Theory and it gained success all over the world. This made Mike’s net worth grow. Shinoda has contributed a lot to the creation of group’s songs. Up ‘til now Linkin Park has released five more albums: Meteora, A Thousand Suns, Minutes to Midnight, Living Things and The Hunting Party. All these albums became successful very quickly, and had a huge impact on the growth of Mike Shinoda’s net worth. As mentioned before, Mike has another project called Fort Minor which was formed in 2004. In 2005 he released his first album, The Rising Tied. During the making of this album, Mike had an opportunity to work with Lupe Fiasco, John Legend, Celph Titled Jay-Z and many others. It not only made Shinoda more famous but also added to his net worth. All in all, it could be said that Mike Shinoda is one of the most talented musicians in the industry. Besides his success as a member of Linkin Park, Shinoda is also quite famous as an artist and he has even had his paintings shown on an exhibition. In the future he might achieve even more as a musician as well as an artist. This would also make Mike Shinoda’s net worth even higher. What is more, Linkin Park also continue its activities and will probably release more albums in the future. So there is no doubt that we will be able to hear more about Mike and his success.